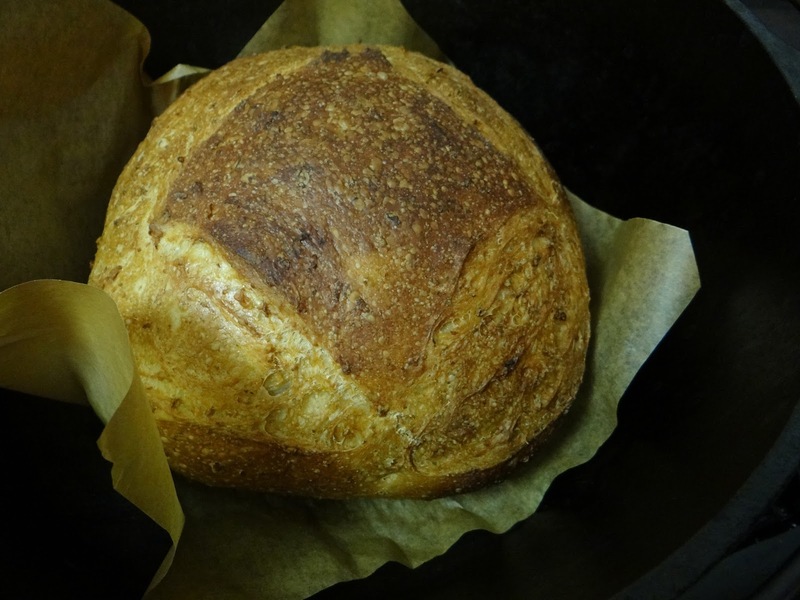 “I take pride in the things I make – guacamole or berry crisp or green-chili strata, but the pride I feel about bread baking is something else entirely. Maybe that pride comes from the transformation, or maybe it comes from the trickiness. 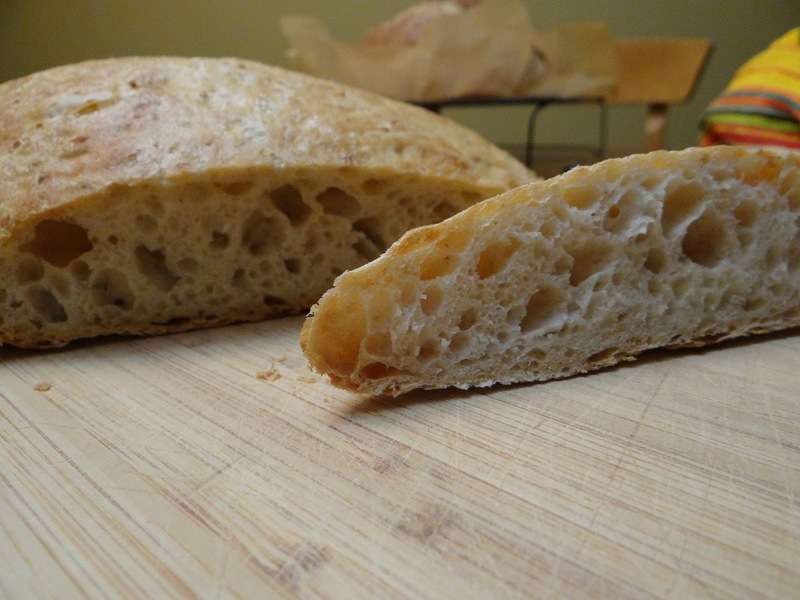 I’ve ruined a lot of things in the kitchen but none so often as bread” (emphasis mine). Ohh yes. I know what you mean, Shauna. Even as I get better and the mistakes are less frequent (and I mostly know how to course-correct when something goes wrong), they still happen. 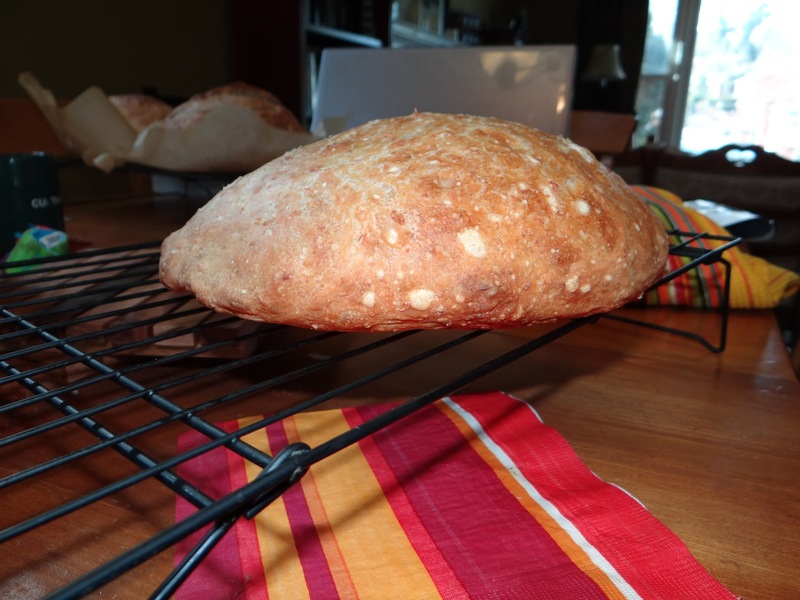 A few days ago, I tried using three different whole grains in the same quantities in the same basic dough recipe (and blogged about it here). 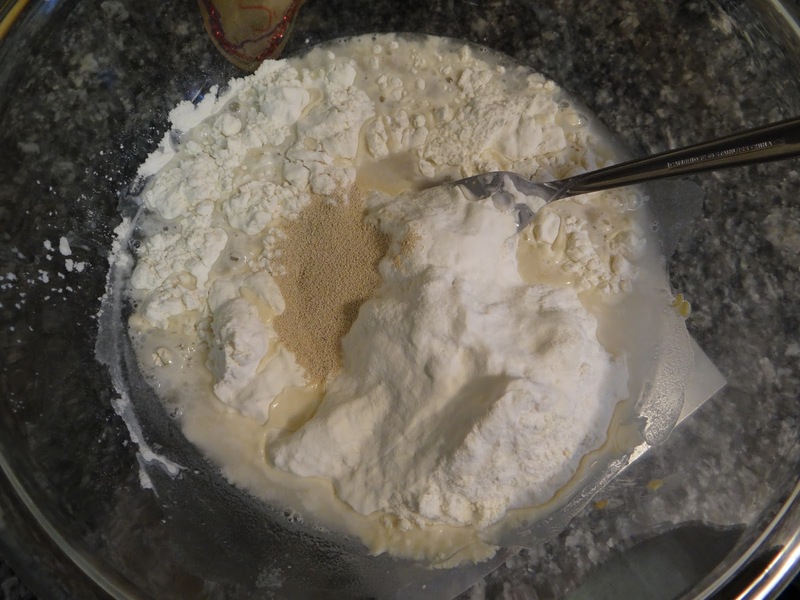 For two of the variations, I used 1/2 cup of whole grains and 1/2 cup of hot water to autolyse. 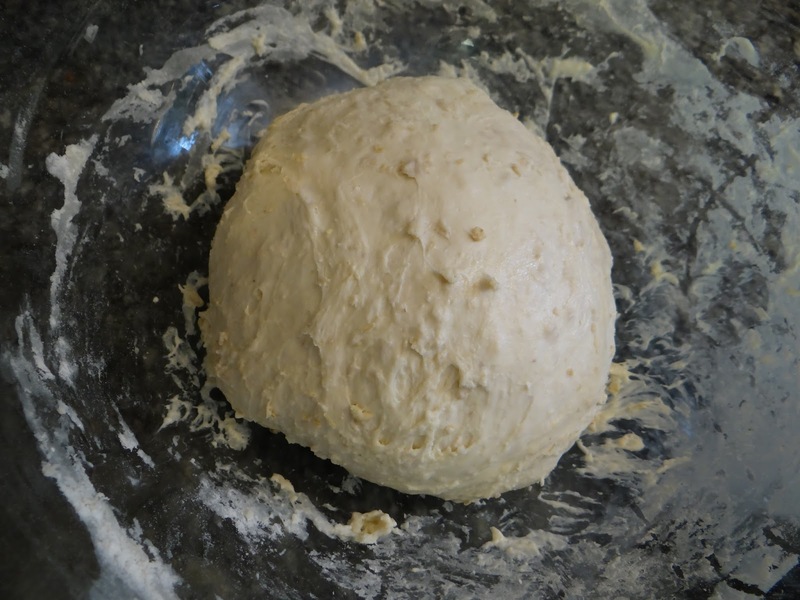 For whatever reason, I decided to add 1 whole cup of hot water to 1/2 cup of quick-cooking oats, drastically increasing the hydration level of the dough. It’s tasty, but clearly I miscalculated how the oats and water would interact. I decided to make the loaf again, this time with 1/2 cup of water and 1/2 cup of oats. 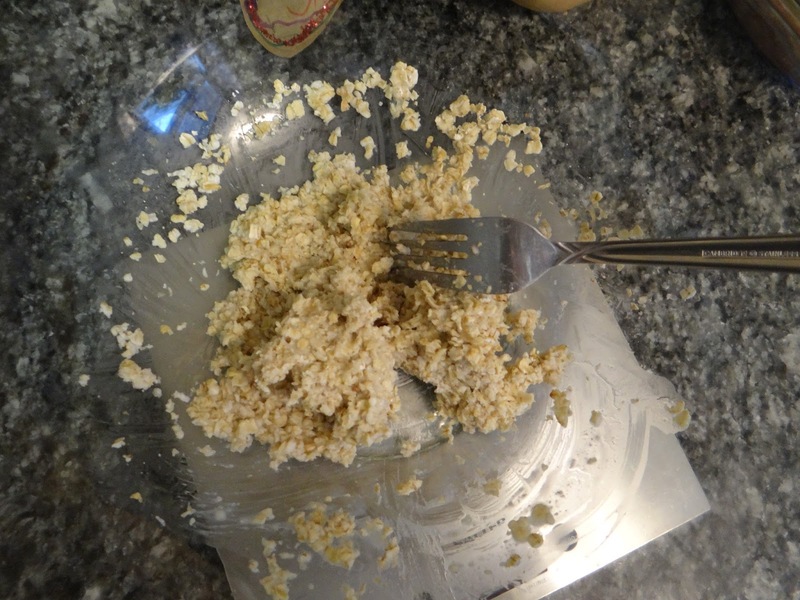 I owe it to my readers and to the oats to show that they are a good and easy way to add whole grains. 1. 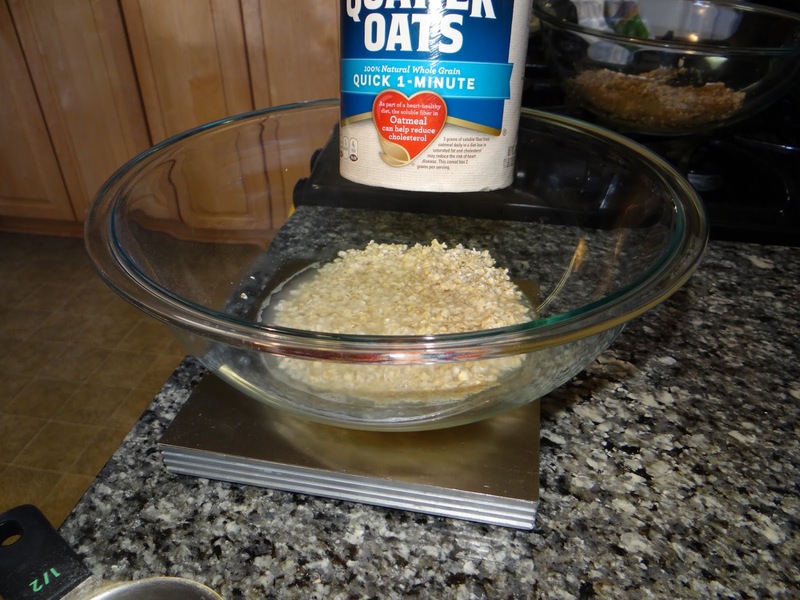 Mix together the 1/2 cup water and 1/2 cup oats and let sit until cool. 2. 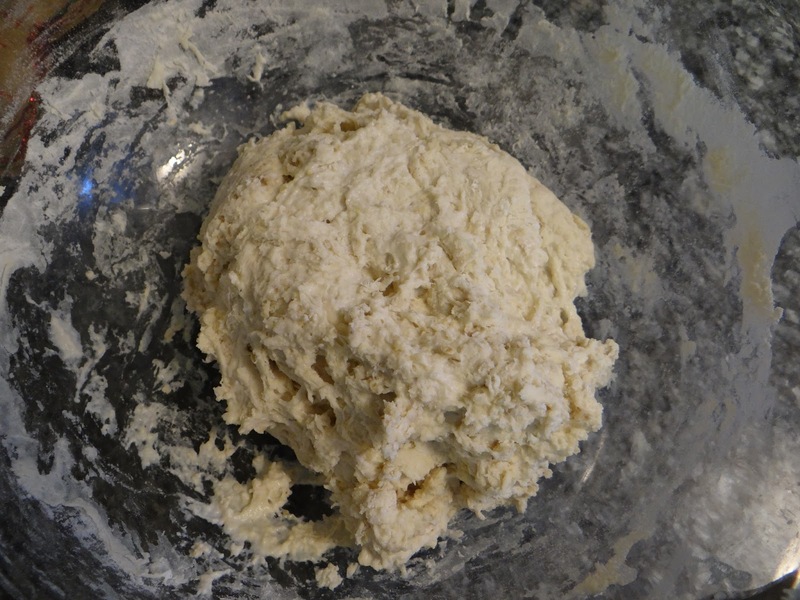 Add the rest of the ingredients, mixing with your fingers until all the water in the dough is completely incorporated. Cover and let rest for 15 minutes. 3. Do a few stretch and folds to strengthen the gluten. Notice how much smoother it is. Cover and let rise 1-2 hours. 4. Do a few more stretch and folds. Let rise another 1-2 hours. 5. 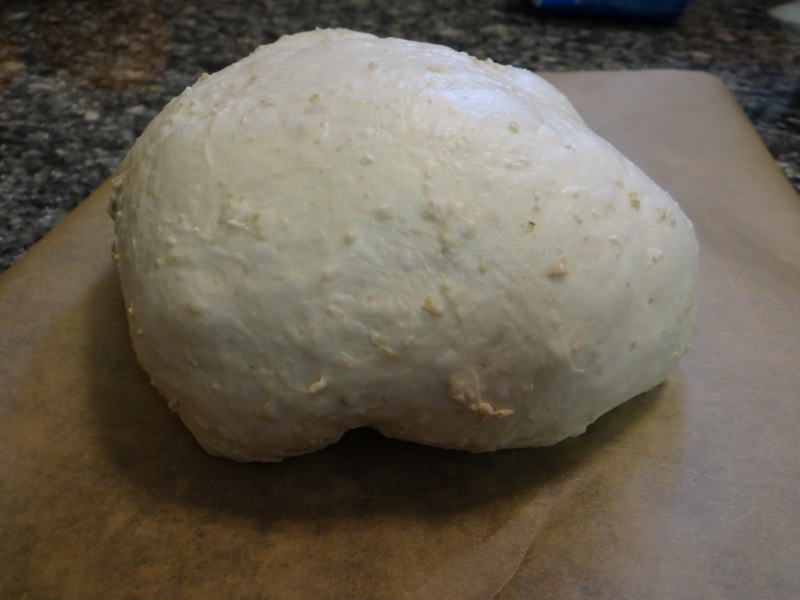 Shape your dough into a tight ball and place on a sheet of parchment paper. 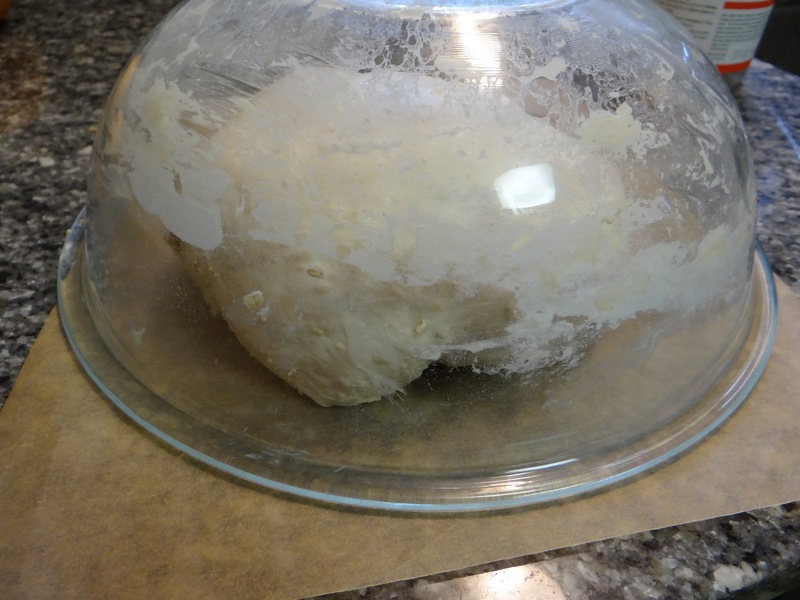 Flip your mixing bowl over to create a dome. Let rise about 30-45 minutes. 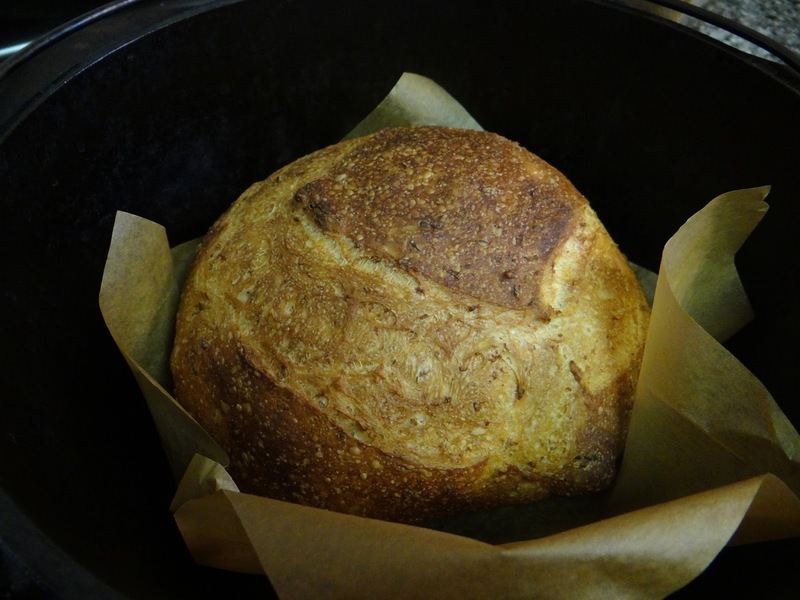 Preheat your oven to 500 degrees F with your dutch oven inside. 6. 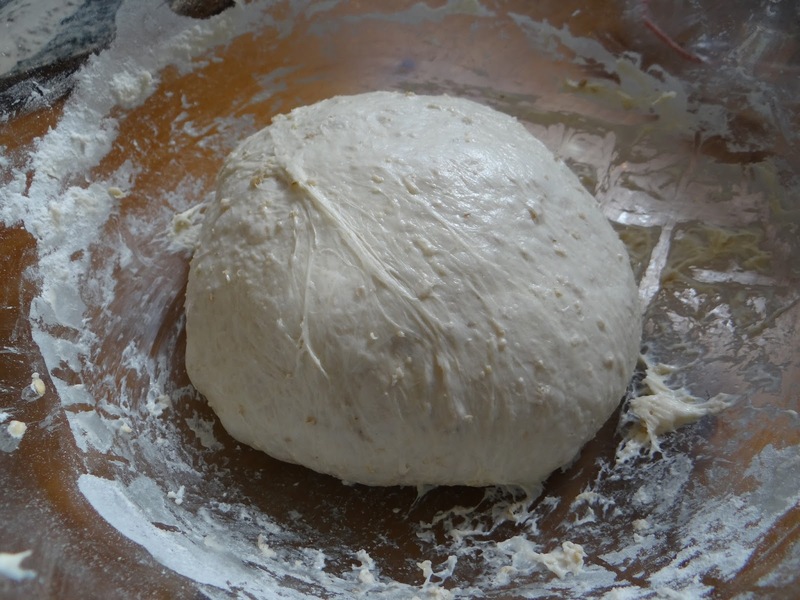 When the oven is preheated, use a sharp knife or razor blade to score the top of your dough. Put in the dutch oven and cover with the lid. Bake about 25 minutes. 7. After 25 minutes, take the lid off, bump the heat down to 400 degrees F, and bake another 5-10 minutes. It turned out perfectly! I have redeemed the lowly oat. This loaf could not be more perfect. 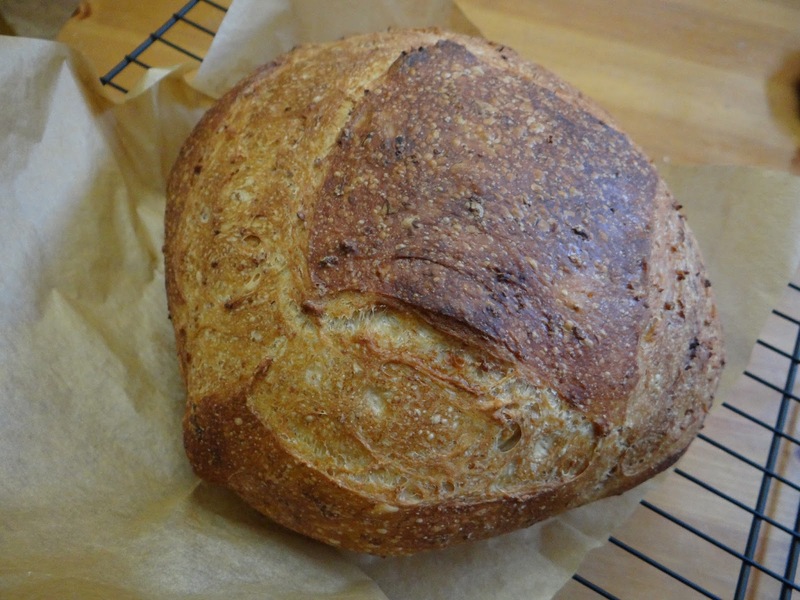 The oven spring is perfect and the loaf came out of the oven singing. I can’t wait to try it. 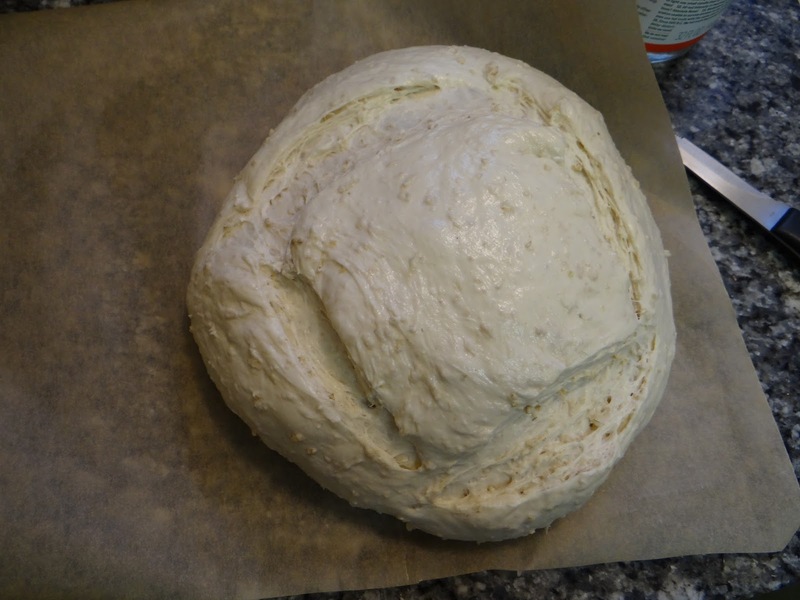 So, to you my readers, I say don’t give up hope, and don’t give up trying for that perfect loaf. You’ll get there. Sometimes the bumps in the road help point you in the right direction.